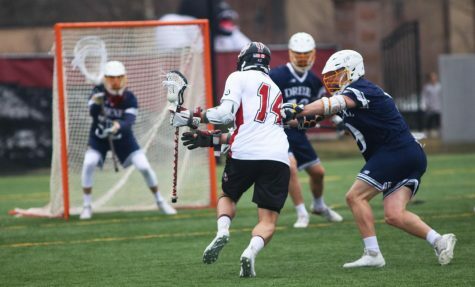 It’s safe to say that the Massachusetts men’s lacrosse team would have liked a replay of the first quarter of Saturday’s game against Harvard. 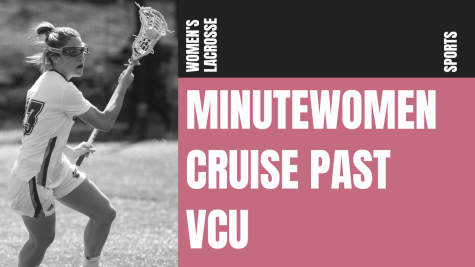 The Minutemen (1-2) surrendered eight straight goals to open the game, putting themselves in a hole they would not be able to overcome, ultimately falling 16-11. Senior Tim Edmonds put Harvard (2-1) on the scoreboard just two minutes into the game. The game would be scoreless for the next six minutes, then the Harvard scoring barrage began. 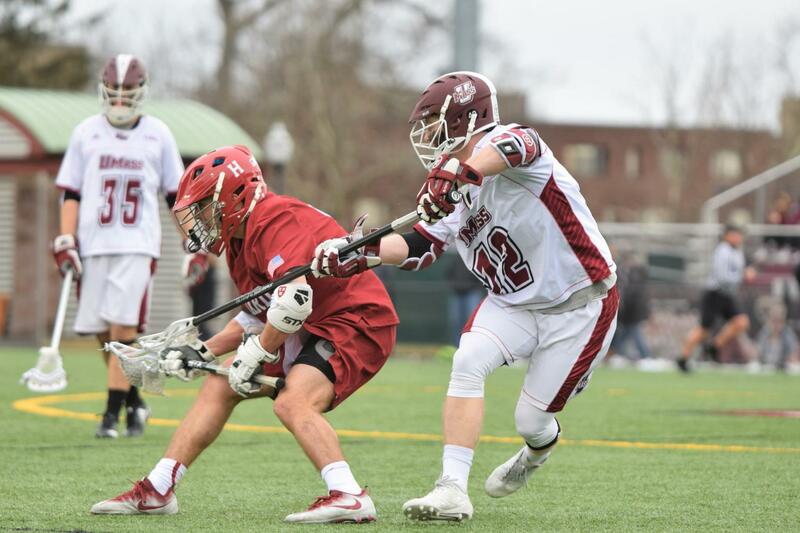 Attackman Ryan Graff scored with 6:38 left in the first quarter to put the Crimson up a pair. 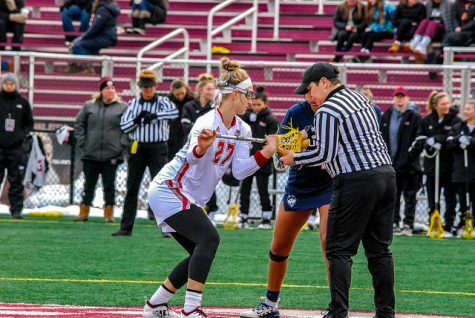 One minute later, Harvard would score three goals in a 26-second span, as the Crimson were able to win the faceoff, march downfield and find the back of the net quickly. 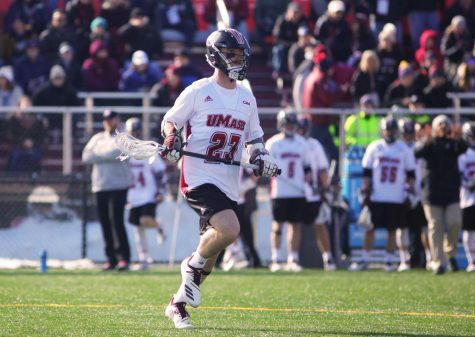 Harvard would add two more goals before freshman Chris Connolly was able to stop the run and put UMass on the scoreboard with 27 seconds left in the quarter. 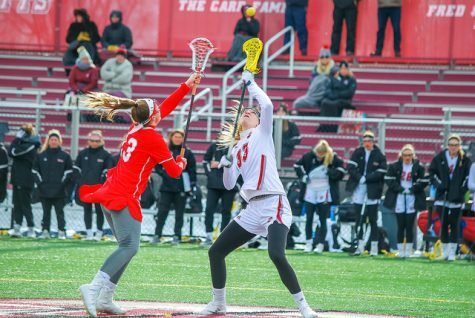 This wasn’t the first time the Minutemen would get off to a slow start, as they opened the season by going into the second half down 8-2 against Army. 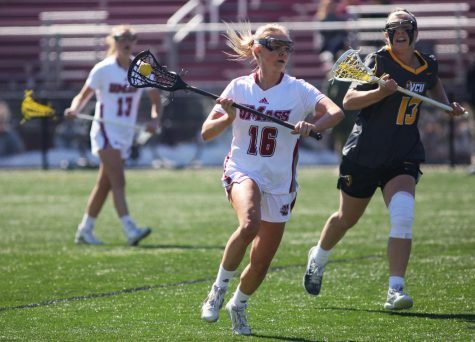 “We have to find a way to figure it out because that’s the second time it’s happened to us in three games,” UMass coach Greg Cannella said. “The combination of losing some faceoffs, they shot well, we didn’t make any saves, it was the combination of everything. The Minutemen would fight back into the game, but were never able to overcome the slow start. 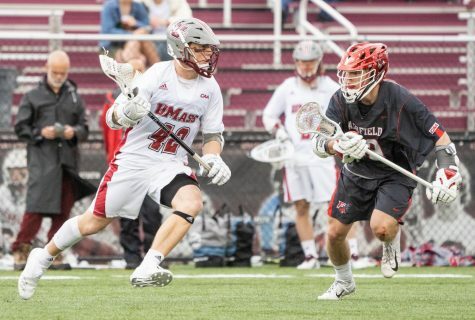 Both teams would score five goals in the second quarter, and after the fourth goal surrendered, Cannella took goalie Sean Sconone out of the game and replaced him with freshman Hampton Brannon, who gave UMass a spark by making eight saves and allowing just four goals the rest of the way. 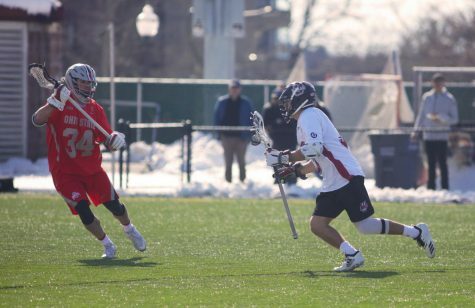 The Minutemen were able to make the game interesting in the third quarter, outscoring the Crimson 4-2 to cut the Harvard lead to 15-10. 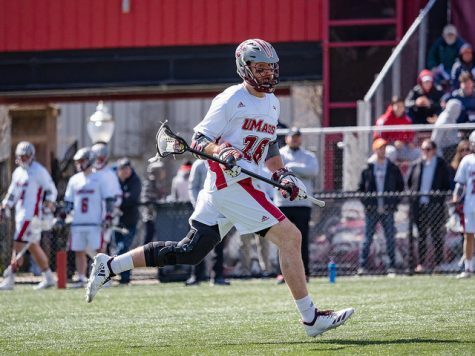 The quarter closed with midfielder Ben Spencer firing a shot from a few steps in from the midfield line with one second on the clock that would get past Harvard goalie Robert Shaw to give UMass momentum heading into the final 15 minutes of play. 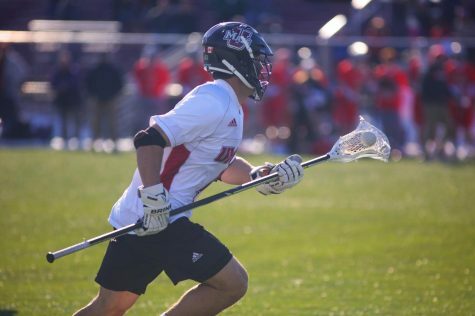 The Minutemen won the opening faceoff of the fourth quarter and drove down the field where Carr sent a pass to Devin Spencer, who found the back of the net. UMass had multiple opportunities to trim the lead down, but were unable to score another goal, missing on two man-up opportunities. The Minutemen are back in action Tuesday, taking on Yale at Garber Field.